Regency at Wappinger is a 55+ community located in Wappingers Falls, New York that offers new homes. Upon completion, Regency at Wappinger will consist of 225 single-family and attached homes sure to appeal to active adult homebuyers with first-floor master suites and open floor plans. Regency at Wappinger will also host an array of amenities that will keep 55+ residents physically and socially active. Current plans call for a 5,800 square-foot clubhouse. Residents will always find a way to stay fit with a well-equipped fitness center and yoga studio. The clubhouse will also feature a catering kitchen and billiards room for enjoying a leisurely afternoon with friends and neighbors. A planned outdoor pool and patio are perfect for winding down after a game on the tennis or bocce ball court. Walking and biking trails are on hand for a pleasant morning stroll or an evening run. Regency at Wappinger will consist of 225 residences upon completion. There will be 93 townhomes that range in size from approximately 1,500 to over 2,000 square feet of living space. With two bedrooms, two or two-and-a-half bathrooms and an attached two-car garage, these townhomes are perfect for the downsizing 55+ homebuyer. Most units will also feature dramatically tall ceilings, first-floor master suites and large walk-in closets. Once complete, Regency at Wappinger will also host 132 single-family homes. Ranging in size from approximately 1,700 to nearly 2,700 square feet, these lovely homes will offer two to four bedrooms, two or three bathrooms and an attached two-car garage. Many of these homes have desirable features like first-floor master suites, study rooms, and second floor loft spaces. Regency at Wappinger offers a low-maintenance lifestyle in a close-knit neighborhood. Your passions and hobbies will take precedent because of the homeowners association (HOA). With a reasonable HOA fee, residents can relax knowing that all lawn care, snow removal and exterior-home maintenance is provided for them. Regency at Wappinger is located in Wappingers Falls, New York. The community is located four miles from Wappinger Plaza where you will find restaurants, grocery stores and a Home Depot. An urgent care clinic is three miles away and the MidHudson Regional Hospital, one of the premier hospitals in the region, is twelve miles to the north in Poughkeepsie. Interstate 84 is ten miles away and will lead you to Stewart International Airport which is just over 20 miles from Regency at Wappinger. 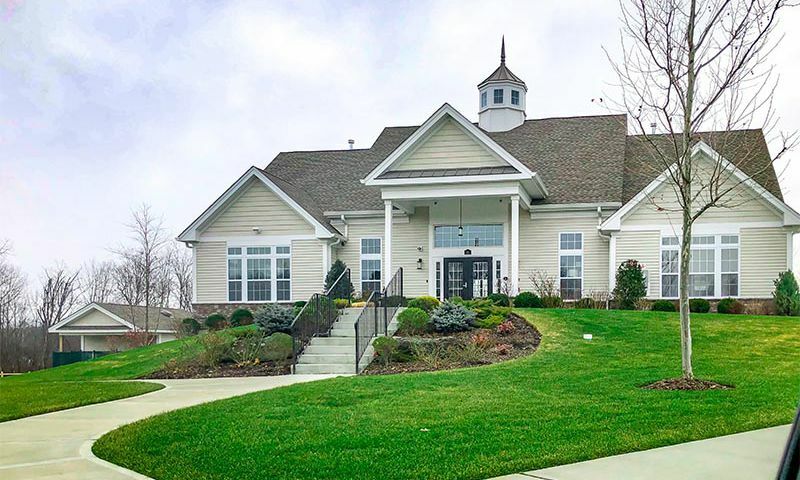 Closer to home, residents at Regency at Wappinger have Catskill Golf Club just ten miles north of downtown and the 301-acre Bowdoin Park is a short drive away along the banks of the Hudson River. Neighboring Poughkeepsie has several cultural attractions including a historic downtown area, a planetarium and the Francis Lehman Loeb museum. Active adults in Eastern New York can find the perfect lifestyle at Regency at Wappinger. Below is a list of proposed amenities that are coming soon. There are plenty of activities available in Regency at Wappinger. Here is a sample of some of the clubs, activities and classes offered here. The Meadows Collection consists of 93 attached units that range in size from 1,492 to just over 2,000 square feet and offer two bedrooms, two or two-and-a-half bathrooms and an attached two-car garage. These homes have first-floor master suites, large walk-in closets and open foyers. The Villas Collection consists of eight single-family homes ranging in size from approximately 1,700 to over 2,600 square feet. These homes offer two to four bedrooms, two or three bathrooms and an attached two-car garage. Many of these homes have desirable features like first-floor master suites, study rooms, and second floor loft spaces. 55places.com is not affiliated with the developer(s) or homeowners association of Regency at Wappinger. The information you submit is distributed to a 55places.com Partner Agent, who is a licensed real estate agent. The information regarding Regency at Wappinger has not been verified or approved by the developer or homeowners association. Please verify all information prior to purchasing. 55places.com is not responsible for any errors regarding the information displayed on this website.